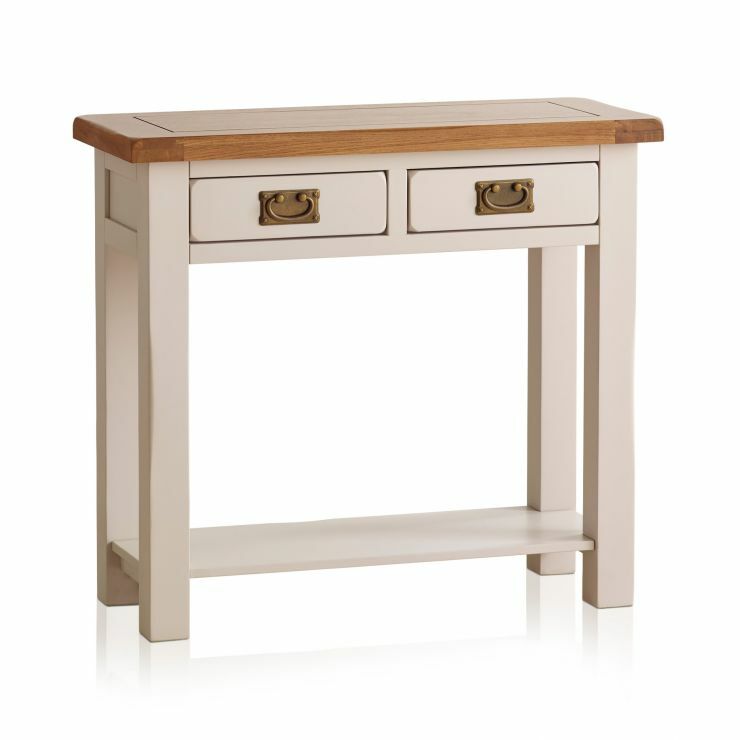 Bring country rustic chic to any room in your home. 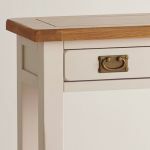 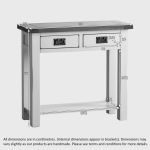 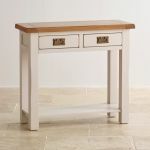 The Kemble Console Table has two drawers and a lower shelf, and can be used for tidying clutter in a hallway while making a place for displaying flowers or favourite ornaments. 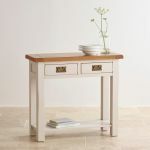 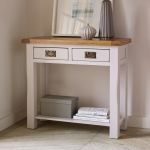 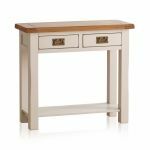 Made with solid oak tops with a 100% solid hardwood painted base in a stunning putty colour with lavender undertones, this console table is a durable piece of home furniture.